This recipe is a fun excuse to get out that old spritz cookie press that you probably only use during the holidays. If you are unfamiliar with a cookie press, don’t worry about the first couple of presses not turning out well. It’s like making pancakes or crepes–the first couple are practice! 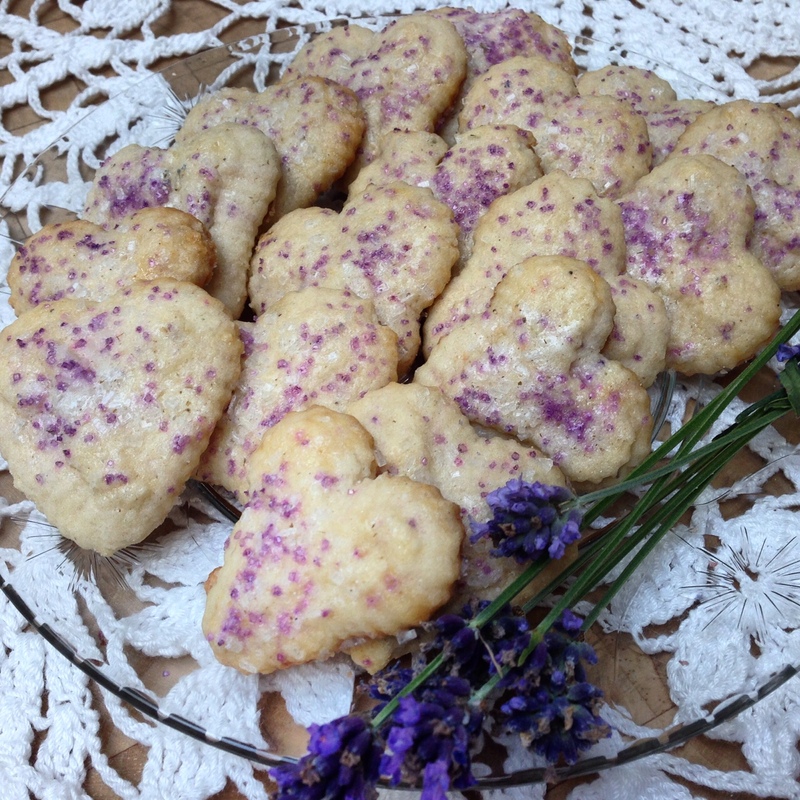 These cookies would be sooo lovely for a tea or bridal shower. 2. Sift together the flour, sugar, salt and baking powder. Set aside. 3. Beat the butter in an electric mixer until soft. Add the dry ingredients. Mix well. 4. Break the egg into an measuring cup and add enough water to make 1/4 cup. Beat the egg and water together. 5. Add the egg/water mixture to the butter/flour mixture. Mix until it is just combined. 6. Put the dough into a cookie press and press shapes onto a chilled cookie sheet. The chilled cookie sheet ensures that the cookies will hold their shape. 7. Mix egg white and 1 Tbsp. water with a fork. Brush the cookies with the egg wash and sprinkle with the sanding/colored sugars. 8. Bake for 10 – 12 minutes or until very light brown. Cool on a baking rack.